Confetti Gun (pictured top) is probably the best thing since sliced bread. Eight improv comedians, who are famous around Sydney’s theatre sports traps, joined forces to take over what is still a male-dominated scene. Improvisational theatre allows no scripts or old gags, so at Ciao we like to think this indomitable gang of gals are constantly creating comedy gold. Some material to get you there: “Feminist joke: The Patriarchy”. 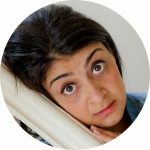 As a hilarious improvisor, writer and stand-up comedian, Sydney-based Susie Youssef has been compared to comedy genius Tina Fey. It certainly seems like her career could be heading along a similar trajectory. Youssef’s shows fall somewhere between stand-up and sketch comedy with a mix of confessional anecdotes, self-parody and forays into hilarious character work – including her Eastern European alter-ego Anya. Youssef is a frequent performer at the Giant Dwarf Theatre in Redfern and at the Sydney Comedy Store. She’ll also be gracing the stage for the 2017 Sydney Comedy Festival. You can catch her on iView as a guest star in ABC’s Rosehaven or on the Australian version of Whose Line is it Anyway? Here’s a young gun that is getting a lot of attention of late, and rightly so as she is side-splittingly funny. 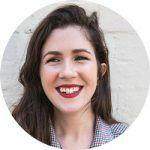 Specialising in stand-up and comedy writing, you might not know Lucas’ face, but you would have laughed at her jokes, particularly if you watch Please Like Me or you are a Twitter junkie (Lucas was named by Buzzfeed as one of the most funny comedians who tweet). Lucas’s stand up is known for its delayed punchlines, fighting feminist spirit, oddball humour, cringe-worthy anecdotes and hefty sledges at hecklers. Lucas has been included in the line-up for this year’s Sydney Comedy Festival, which is kicking off in April, and will be performing at the Enmore Theatre. What a name and what talent! 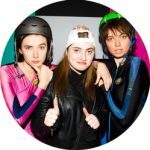 This trio of sketch comedians, who met at the University of Sydney, have been turning heads with their hilarious responses to some not-so-hilarious current events. A video they made with Junkee in response to ‘Yeah, the boys’, an all-male BBQ promoted on Facebook in which “two holes” were threatened to be killed, was one of the few things that made feminists smile in the harrowing abyss that was 2016. Freudian Nip’s real stomping ground, however, is their light-hearted sketch comedy, which they have showcased at sold-out shows for the Sydney Fringe Festival and at last year’s Sydney Comedy Festival. Champagne observational comedy from the Nips: “How can women AFL players be expected to commit all that sexual assault with only one tenth of the pay?” Keep an eye out for these ones.